Jaish Tour And Travels Yearly Memberships: Patrons can get special benefits under membership schemes. National Tours Packages: We offer Inbound/Outbound services to PAN INDIA. 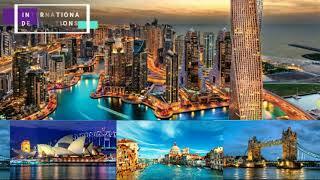 International Tours Packages: We offer Inbound/Outbound services to all international destinations. Special Memories: Honeymoon and Anniversary. Shrine: Cultural and Holy Land Trips. Group: Wildlife Tours & Desert Safaris. Stay: Safe and Leisurely stays in Hotels, Resorts, Villas and Guest Houses. Cruises: Exclusive Global Sea Tours. Flights: Internationals & Domestics air tickets booking. Buses: AC Delux, AC Super Delux, AC Volvos, Mini Buses and Traveller Vans etc. Financial Solutions: Authorized Channel Partnerships for Foreign Currency Exchange, Money Transfers and Specific Travel/General Insurances etc. Visas and Others: Visas, Passport and Tour Guide etc.